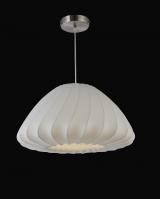 A wonderful airy shape is created for the light covering on this pendant fixture. The white resin material makes a very nice bulb covering that allows for illumination as well as making a decorative statement within the space. 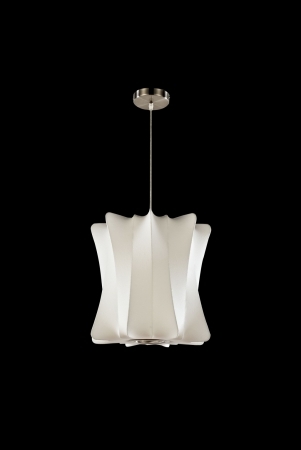 This fixture hangs from chrome plated mounting hardware.